Tangerine Tango is THE (Pantone) color of the year for 2012. No wonder we've had so many outstanding oranges released lately. I used 2 coats plus topcoat in the swatches below. Did you get any of these? What's your favorite orange? 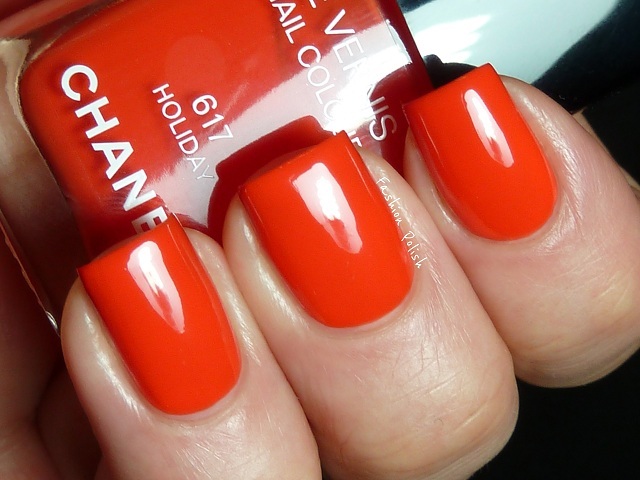 I think I like NARS the best - I love the summer colors but orange is just so startling on the fingertips! So bright and pretty. Do you know how it compares to OPI A Roll in the Hague? What a pretty tangerine! I got me an Tangerine for Queensday, NYC Timeless tangerine. Which is also a pretty one. Oh I love that color! I am considering getting it, though I already have Nails Inc Maliblush, which seems to be very similar, although brighter IRL even though it's hard to tell from pics. It all depends if I find it over here or not. Thanks for posting it! I am loving orange at this point in time and your swatches rock! 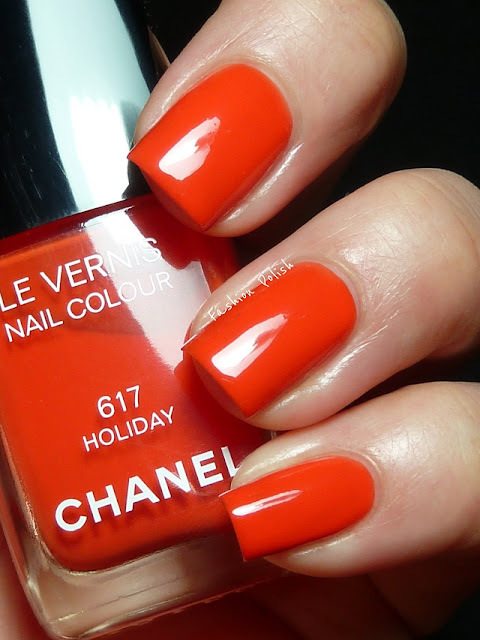 I love orange and I love this colour too! This is gorgeous on you! Am wondering though, how does it compare to OPI A Roll In The Hague? 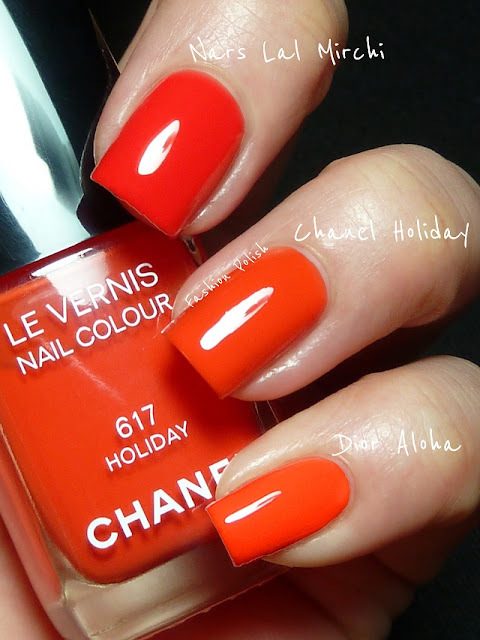 Lovely orange! Great comparison too. I really love the Nars too!